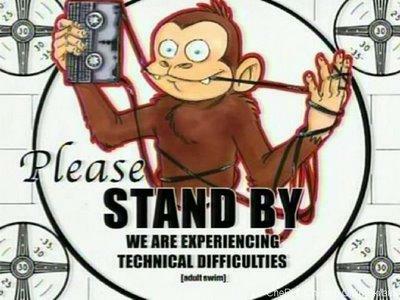 There has been a lot of frustration over the past few days regarding the up/downtime of the site. Rest assured I’m as frustrated as all of you, and it pains me to see the site strain so much. That being said, we’re making some sweeping changes tonight with hopes to rectify the problem, allowing for all of you to come back and comment, argue and discuss the happenings of the T-Mobile world. It’s been a long road for us with server troubles and while the reasons behind the mess is due to constantly outgrowing what we have, we know how frustrating it is for you and for us. With that in mind, you might see some troubles tonight, which of course will hardly be noticeable from the rest of the day. However, your comments might not auto-populate so don’t be alarmed or concerned, they’ll be back sometime tomorrow, fingers crossed. Thanks for your patience and your loyalty and stay tuned, we’ve got some GREAT stuff coming. Contests anyone? You make countless iphone posts in order to pad your page views and click throughs, but then the site cant handle the traffic. Lose. Even if that was true (it’s not) there’s nothing wrong with devising ways to generate income on a FREE site. I assume you have noticed that the Site is free just as most of the Internet is. What do you propose, that website owners maintain their sites, put up content and moderate morons SFBs like you, all for free and at their expense. Sheesh… some people should be banned to an island and kept there till they expire. Oh, and have you noticed that 99.9999% of the tech internet talks about the iPhone. That’s because it’s newsworthy. A wireless tech site would be remiss if it did not talk about iPhone developments, rumors, launches and what not. Go to Engadget, BGR, CNET, Walt Mossberg, PC World, carrier fan sites, and elsewhere. Count up the pages and articles that mention the iPhone and Apple. Check out Google. Search “iphone” and you will see there are 1 BILLION, 260 MILLION (1,260,000,000) web pages that mention it. “Apple may be coming to” = 89,000 web pages that have that phrase. Take your stupid insults and accusations and put them where the sun… you know the rest. Did anyone happen to see the gizmodo pics of the first shattered iphone4? Made me feel all warm and fuzzy inside. Good luck. Thanks for the hard work you do for us TMo fans. Thanks for putting up this announcement so we don’t have to wonder what’s going on. And congrats on the success. Thanks for the update! Love the site! damn how many times have u switched Servers so far? all i can think of is 5x.. but hopefully this new one can handle all those smartphone rumors u post up. Yes, with the possibility of high-end smartphones coming to Magenta in the upcoming future, the server definitely needs to be able to handle the traffic easily… Good Luck! I thought I had 3G problem with N900 while I was listening BBC Radio Scotland without problem. that’s all good.. love the site by the way..
i’ll change my username to something else once i subscribe to tmobile..LOL in july! Just wish there was more good TMO news for you to post. Like the release of a better than Evo phone from TMO. Iphone ? Who cares ? I wouldnt buy one anyways. The new site hosting is lightning fast. Awesome!